CANTON, Mich. (WXYZ) — An Amazon Prime delivery van burst into flames Saturday morning while dropping off packages in Canton. The incident happened around 11:32 a.m. on the 50500 block of Mott Road. Canton police say the delivery van driver went to turn around and the vehicle got stuck due to a mechanical malfunction. 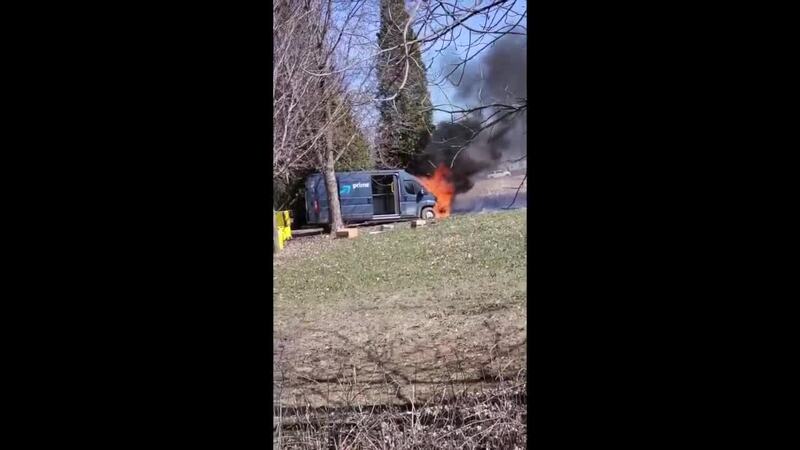 The malfunction then ignited the engine which engulfed the hood of the van in flames. A witness told Action News a good Samaritan saw the flames and stopped to help the driver. Police say the driver got out of the vehicle and was able to remove the packages from the burning van.